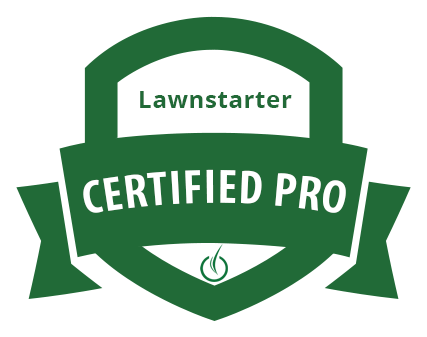 In the Summer heat, you probably have an area in your landscape where the sun beats down off walls, streets and sidewalks. 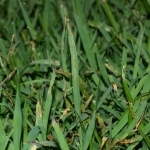 Shrubs and bushes go a long way to help absorb that excessive heat through out your landscape. 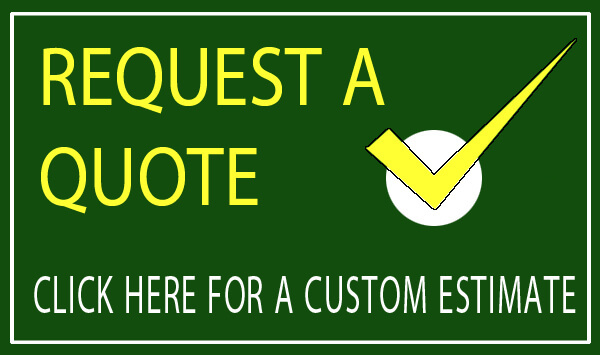 Protect your garden plans by choosing heat tolerant shrubs that will endure drought and heat well, thus avoiding your plants from becoming dried out, and wilting in the summer’s heat. 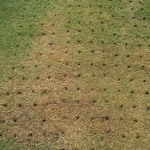 Some light watering & shrub trimming will be needed of course, otherwise should withstand the summer heat like a boss! Excellent for the southern climates, and ready for nearly any soil or heat. 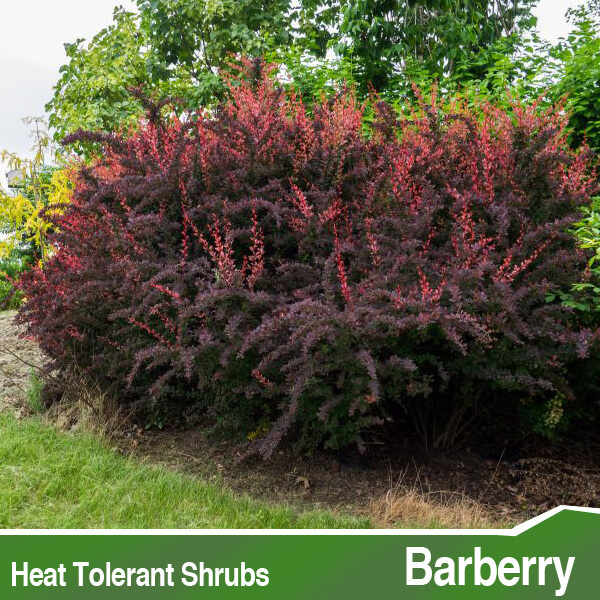 Barberry has several variety options for height and color appearance, but all are low maintenance and ideal for hedges. Plant in full to part sun and let them go, with minimal pruning for maintenance. Hardy to zones 4-8. 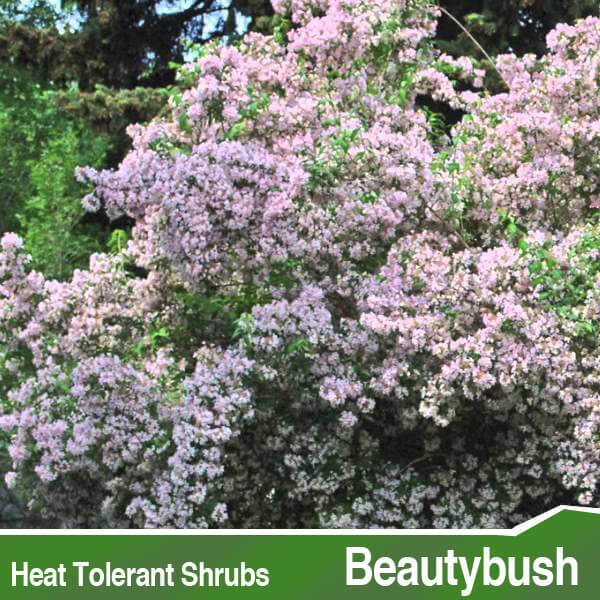 At 6-10 feet high and wide with an abundance of pink and yellow spring blooms, beautybush draw a great deal of attention. 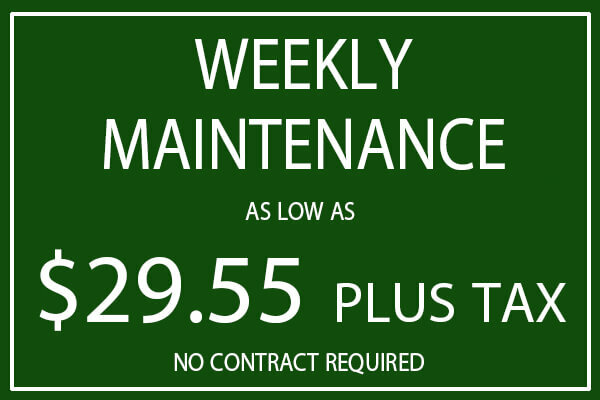 Easy to maintain by keeping dead wood and overgrowth cleared out. Hardy to zones 4-8. 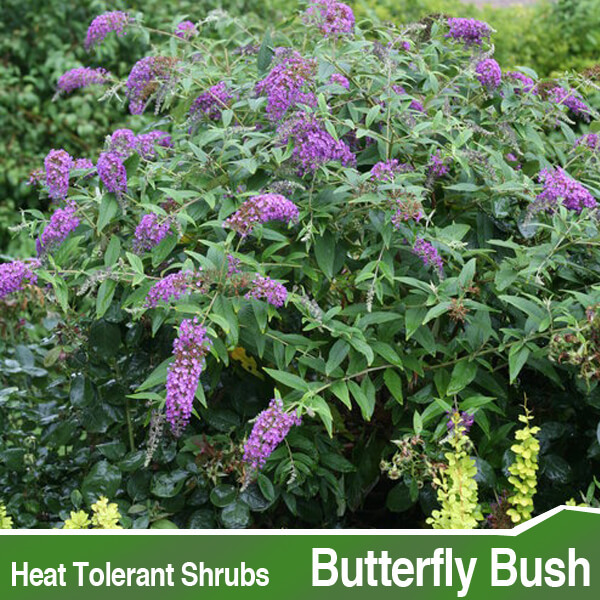 With lovely fruity fragrance and incredibly showy blooms, it’s no surprise butterflies and hummingbirds love this aptly named shrub. 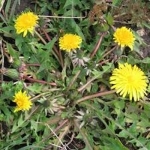 It’s so easy to grow, however, that it is sometimes considered invasive, even in the heat. Be careful to plant it away from other important plants. Hardy to zones 5-10. 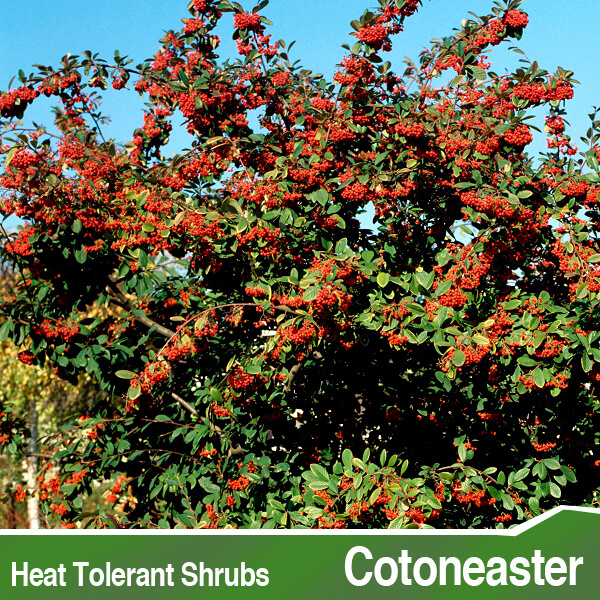 There are many varieties of cotoneaster, including ones that creep and trail. Shrubs can reach up to 15 feet tall with an impressive spread. Fall fruits grace the shrubs after the summer heat. Hardy to zones 5-8. Another umbrella for many species, juniper includes everything from ground creepers to tall trees. They are excellent hedge plants, growing into a lovely shape without pruning and shaping. Plant in the landscape or in containers, watering at first but then relying on natural rainfall after that. 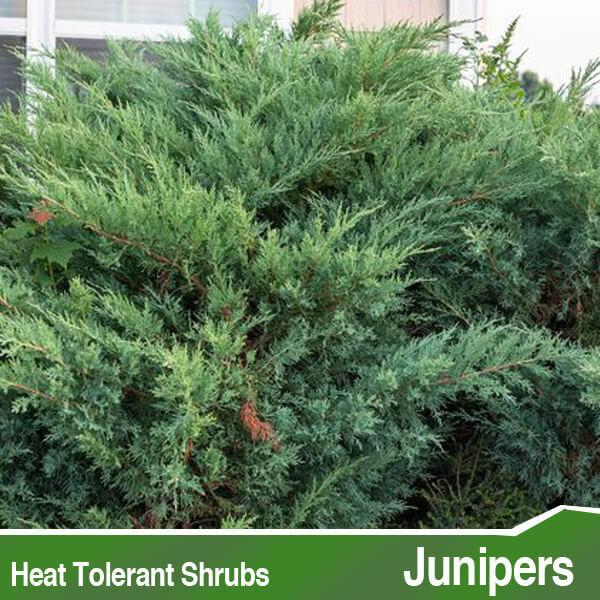 Junipers do well in a xeriscape! Hardy to zones 5-9. 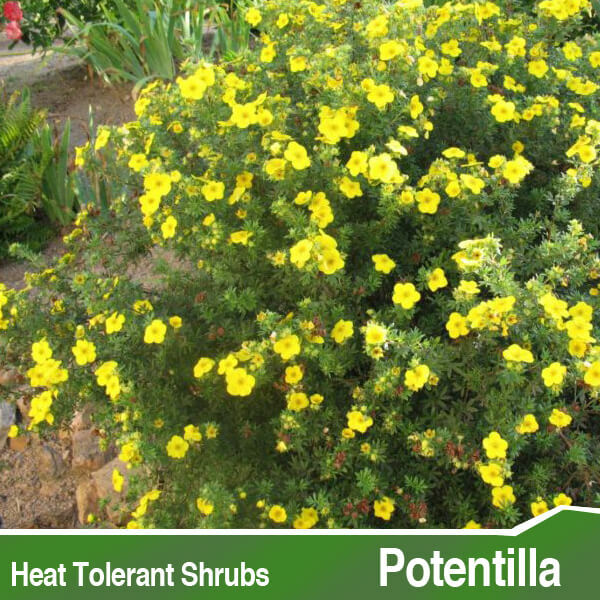 On the smaller side, Potentilla is only a few feet tall, with small yellow flowers in the spring. 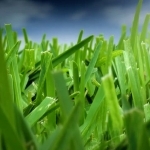 It will grow slowly, but heartily, establishing itself even in poor soil. The sun is the important key for Potentilla, making it an excellent choice where heat-tolerant shrubs and plants are necessary. Hardy to zones 3-7. Medicinal, culinary, fragrant and functional – rosemary fits just as well into the landscape as the herb garden. 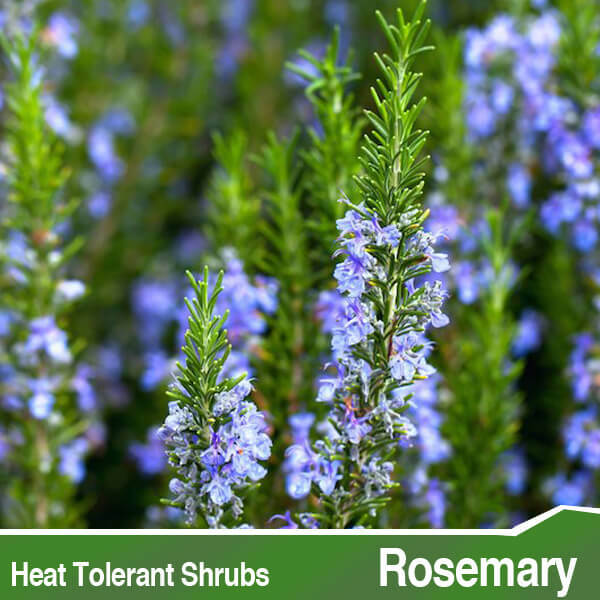 Returning as a perennial each year where it isn’t an evergreen, with small blue flowers in the spring, rosemary is a year-round favorite. Hardy to zones 6-9. This cousin of the honeysuckle is another heat-loving shrub. 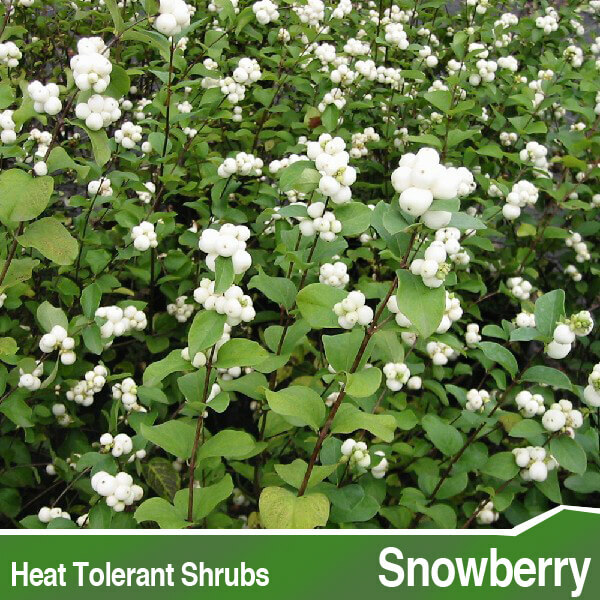 Most often a wild plant, Snowberry is a good choice for permaculture, attracting wildlife and providing a habitat. Creamy white berries cover the Snowberry, but they are not edible. 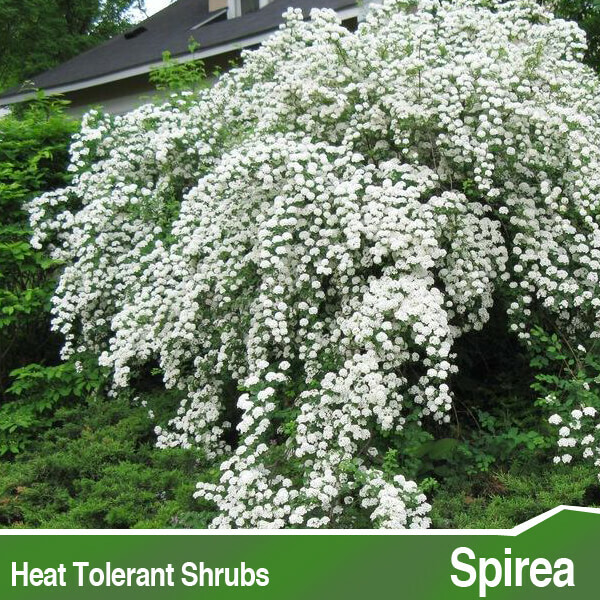 A gorgeous flowering shrub, spirea spreads out in a fountain of white clusters of blossoms. It continues to thrive through the summer heat, culminating in orange foliage in the fall. Varieties range from 2-6 feet tall and wide. Hardy to zones 4-8. After the summer sun has cooled, sumac’s blazing red leaves will steal the show. 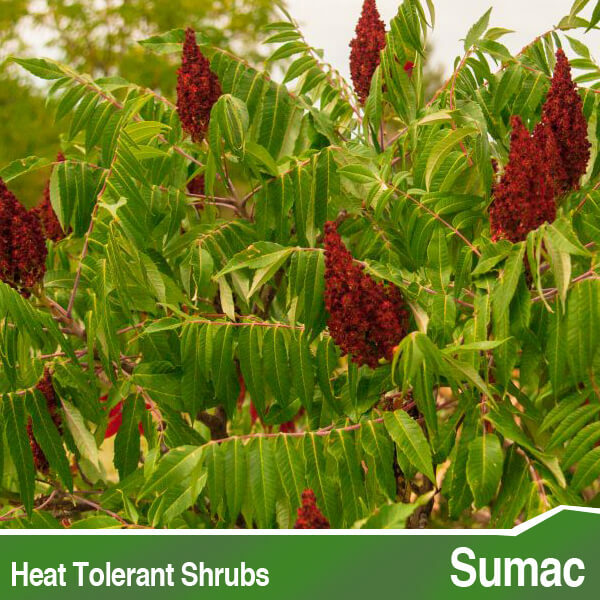 Not only are sumac excellent shrubs for heat, but also fare well against pests. Sumac is also cultivated for spices and medicinal properties. Zones 3-9, by variety. Don’t let the heat keep you from enjoying your garden and landscape. 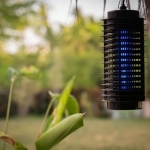 Plant smart and reap the benefits of nature’s beauty!